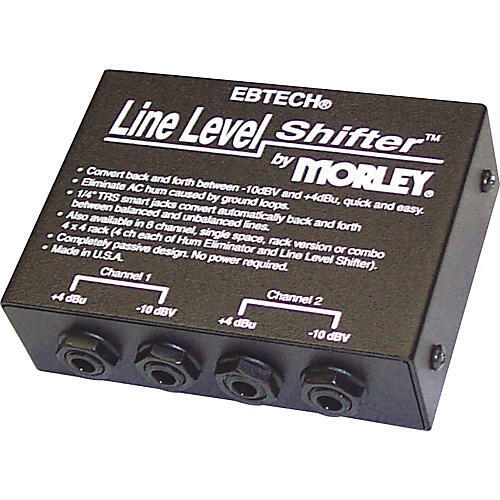 The Line Level Shifter from Ebtech uses the physics of inductance and impedance matching to increase or decrease signal voltages without adding noise or employing active electronics. Allows a step up in volume approximately 11 decibels without adding system noise. It also converts back and forth between balanced and unbalanced signals automatically. And as a bonus, it contains Ebtech's Hum Eliminator technology to break ground loops.